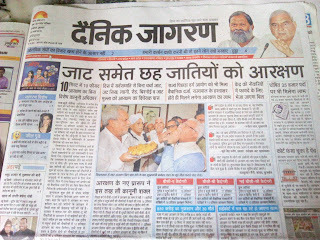 Today instead of removing reservation, government is giving reservation and celebrating. As we see in the image that how much happy Manohar Lal Khattar is. Reverse is happening that is instead of removing reservation they are giving reservation. Very funny that on the downfall of progress in India they are celebrating. Our country need educated people for the progress not the people who came up with the help of reservation but the people having ability. 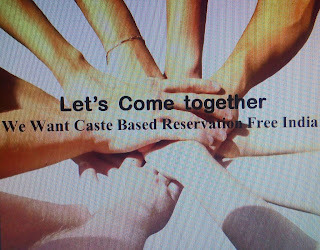 Reservation on the basis of caste is becoming a big problem of today's world. It is possible to give a break to it. As nothing is impossible. Some thinks that it is impossible. Who are TOTALLY WRONG. I agree that reservation was a boom in old days but now it is becoming curse. The purpose is complete for which the reservation was given and now the time came to remove it totally.